AERIAL is a Retail Intelligence and sales force management solution for retailers and product owners like you, to collaborate and sync up with your sales team anytime, anywhere. Get real-time on-the-ground updates from your global field team using our AERIAL app, be it sales performance, inventory status, customer feedback, or even what your competitors are up to. 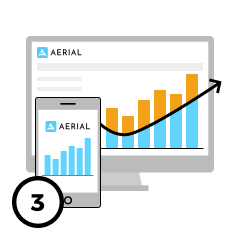 AERIAL's Retail Intelligence tools and powerful Analytics Engine allow you to keep track of sales performance metrics, so you can make swift, intelligent business decisions on the go. The AERIAL app enables you to manage your global sales team from the convenience of your tablet. 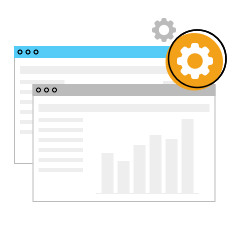 Use our intuitive dashboards to get a snapshot of how your stores are performing anytime, anywhere. 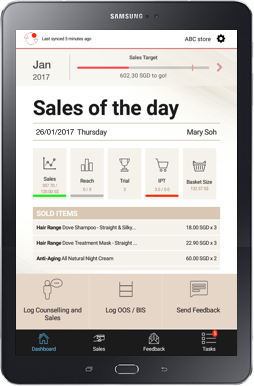 Invite your sales reps to download the AERIAL app onto their tablets, or simply subscribe to our hassle-free Premium Plan, which is inclusive of a tablet for each subscriber. Your sales reps can now log in, update and easily keep track of daily sales & inventory, customer feedback, tasks, and competitor’s activities using AERIAL’s user-friendly built-in features. Want to see how your global sales team is doing? 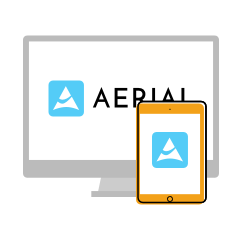 Simply log in to AERIAL's web app from your tablet, laptop or PC. AERIAL centralizes all the real-time on-the-ground updates from your sales reps, and presents it through interactive dashboards for effective decision making. 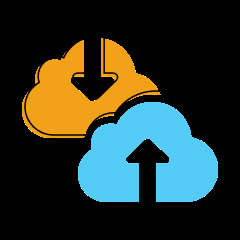 AERIAL gives you 24/7 secure access to your real-time data hosted on the cloud; or simply work offline and sync later. The AERIAL app is compatible with all iOS and Android tablet devices. Integrate with third party apps and enterprise solution providers to take complete control of your sales operations. Find out about AERIAL's mission, its features, and how it will benefit you. Ready to join the Mobile Business Intelligence revolution? Contact us for a free consultation and demo.